The CBX250 was originally introduced in the UK in 1984 as the CBX250RS, it featured DOHC RFVC 31 HP electric start single, breathing through dual carbs and exhaust. It arrived in Australia in 1985 as the CBX250F in updated bodywork, a SOHC RFVC single making 26 HP, dual carburetors and 2 into 1 exhaust and sporting a chin spoiler. 1987. Rick Hansen returns home to Vancouver after his Man in Motion world tour. The Loonie is introduced. Canadian and American negotiators reach agreement on the Canadian-American Free Trade Agreement. Honda brings the CBX250H to the Canadian market. Now featuring a SOHC RFVC single, 1 lone carburetor to feed it and 2 into 1 exhaust and the chin spoiler deleted. There is very little information available for these little bikes, the intent of this thread is to change that. 4 months of internet search has turned up nothing for a service manual or owners manual. The power plant for the CBX is derived from the XL250R. Kickstart and decomp delete and addition of electric start are the only obvious changes. Regular engine maintenance and service information is readily available through the Clymer`s manual. It is worth it to note that this manual does group models together (XL and XR 250 - 350R). I've noted some of the specifications in the tables are incorrect according to information I've sourced on the internet, there are some other pitfalls that may arise so let's get to it. Remove the seat. Remove both side covers. Push through the pins on the fairing on both sides through the front of the tank. Set the fuel petcock to 'off', disconnect the fuel line from the tank. 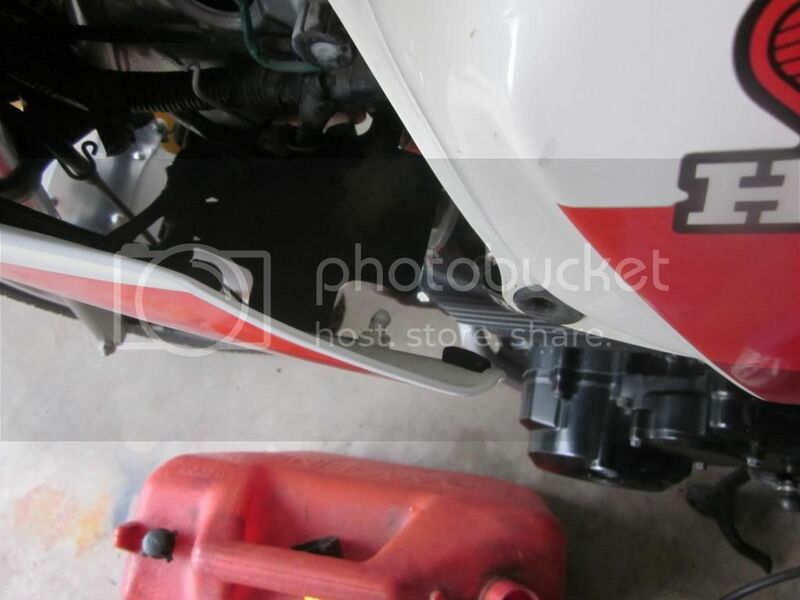 Locate and remove the bolt at the base of the tank and remove it by lifting slightly on the rear and pulling back. Clean the valve cover and surrounding area, including cables and harness routed down the frame. Remove the caps from the magneto cover. Remove the tappet caps. Use the 17mm headed bolt on the magneto to rotate the engine CCW until the T mark is clearly lined up with the notch in the inspection area. Using a johnson bar on the magneto bolt, rock the engine back and forth and observe the tappets. If the tappets move while rocking the engine back and forth, the engine is on valve overlap rather than TDC. Rotate the crankshaft via the magneto bolt 1 full rotation and repeat. There should be no movement of the tappets when the engine is rocked on the T mark. Adjust the intake valve tappets to 0.002", the exhaust to 0.003" clearance. 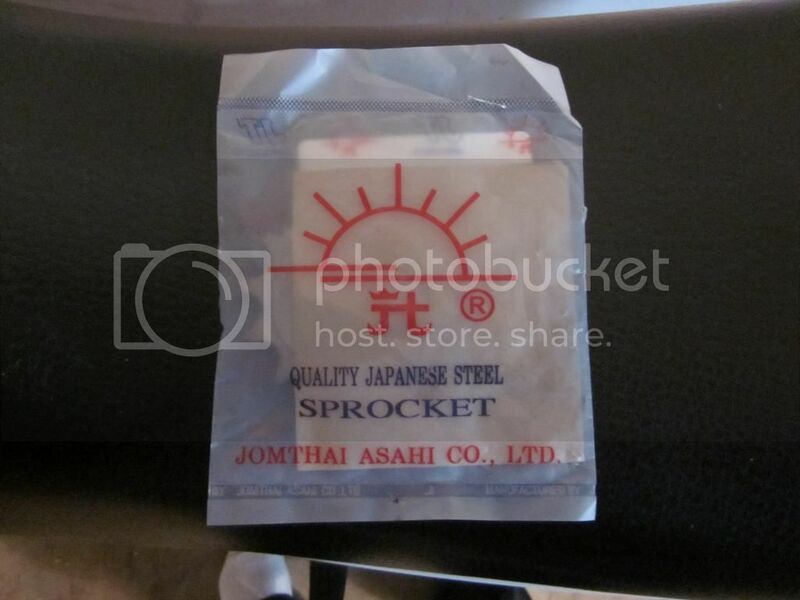 Who wouldn't trust a fresh spark plug out of the box? There should be no need to set it's gap, they did it at the factory - right? Bah. Do the legwork. There is an internet's worth of 'knowledge' to be had, and yet no documented (Honda of Canada literature) answer as to what the gap should be. The best I can offer through my research is somewhere between .7 and .9mm, or 0.028 - 0.036". I set mine halfway at 0.08mm or .032" and it looked outlandish. 0.028" looks natural. It's worth it to note that the existing gap was tight at .022", the plug itself had a good bit of carbon on it. This space reserved for a documented answer. Extracting the spark plug is no joke. 14 years worth of tools as a professional mechanic at hand, and the best tools for removing the spark plug are in the little blue factory supplied tool bag. As seen above it's buried in the center of the head, hiding behind the frame's down tube. The first obstacle is the first obstacle: the boot and wire. There is little enough room to lift it off of the plug, let alone do something useful with it. It will swing out of the way on the right side of the frame rail if you're living right. Access the plug from the left side, again, just barely enough room to set the plug socket over the plug itself. Use the appropriate wrench from the kit to turn the plug socket. 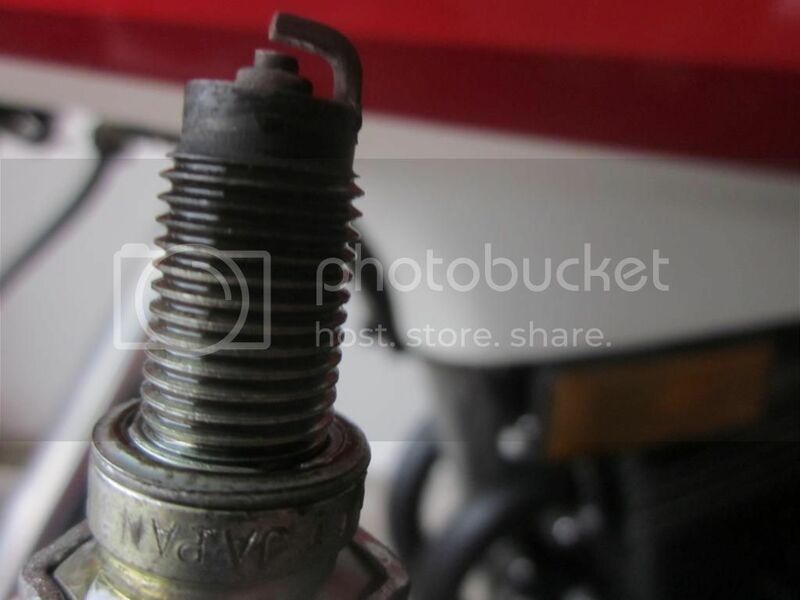 Avoid the temptation to back the plug all the way out with the spark plug socket. This plug has a good bit of thread on it, making removal of the tool and plug from the cavity a bit of a challenge (if you recall, getting the socket on the plug was task enough). A length of 1/4" fuel line pushed over the top of the spark plug should provide enough grip to remove the plug from the hole. I have yet to find a Honda of Canada online parts fiche. 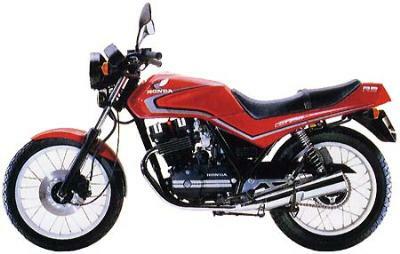 American Honda doesn't list the CBX250, it was never sold in the US of A - they got the CMX250 Rebel instead :agave:. This space reserved for a H.O.C. parts fiche. Good news, Honda Australia does list the CBX250F. Remember of course you DON'T want to use a UK site to source parts as the CBX250RSE had the dual over head cam engine, a horse of a different colour altogether. 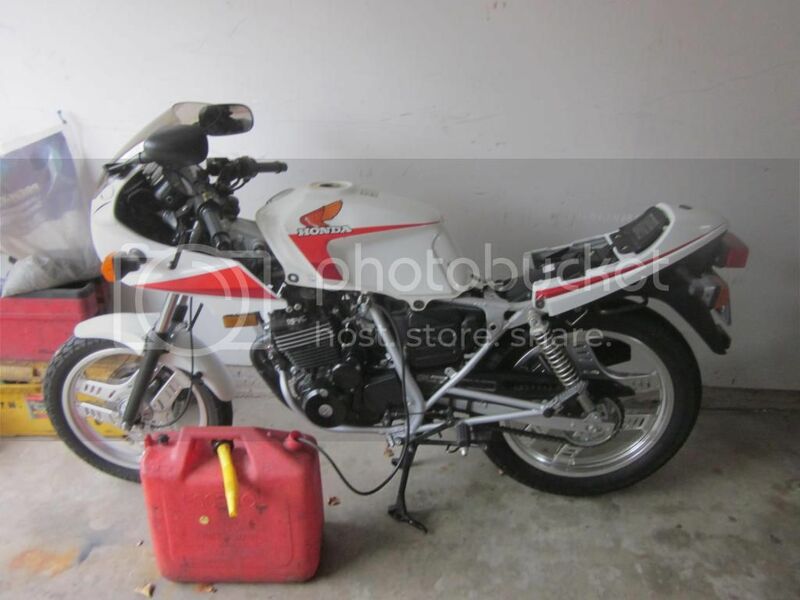 Either site will do, just be sure to use 1985 as your model year and remember the carburetor setup on this bike is DIFFERENT than the Canadian model. 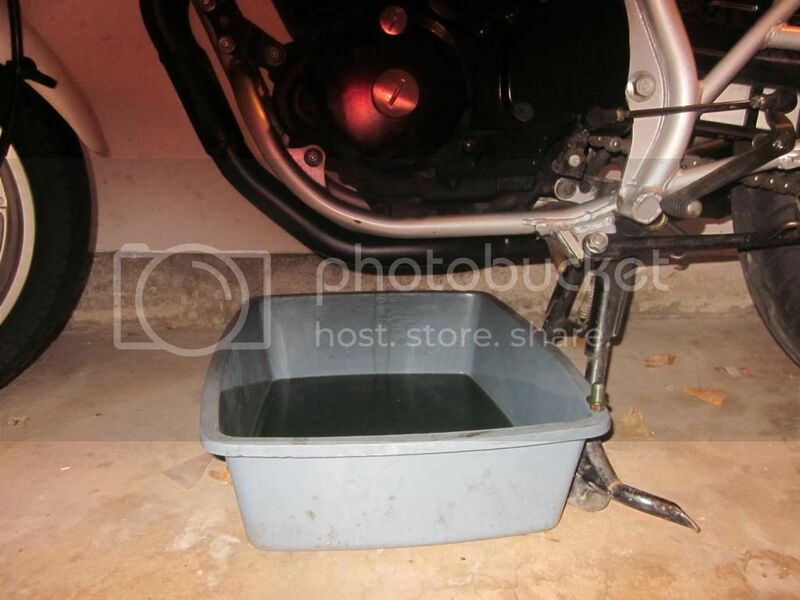 Be assured that nothing from the airbox to the intake manfold will fit on your bike unless you convert all of it (if you go the distance you'll pick up a couple of ponies - or wallabies - along the way). Honda Australia calls for a DP9Z NGK, a resistorless plug. Good on ya for keeping the litter buzzer going. Had one at one time. View from the right of the plug boot and the elusive plug. NGK lists the DPR8Z / DR8Z as 'special application' probably due to the projected tip - meaning "Not to be found anywhere on a weekend". EDIT: this is NOT the same spark plug as used on the XL250R??? Could be a difference in the cylinder head? I have a soft spot for this bike, I remember it when it was new oh so long ago. Most folks who've had the chance to ride one of these bikes usually ask the same question - what's up with 6th gear? It's ratio is 0.785, that's what. Taller than the highest mountain, there's no way a rider over 150 Lbs could ever expect to use 6th as anything other than a cruising overdrive - even at that they'd better pack a light lunch and ride in a full tuck. A transmission swap could fix this, pretty much any '86 and newer XR250R would provide a close ratio trans by comparison but it's still tall in 6th at 0.814. A sprocket swap should be easy and affordable, but there are no listings for this bike in the world of aftermarket, period. None, nadda. Fortunately the little CBX shares much of it's components with... pretty much every small bike Honda made in the mid 80s. The rear wheel's drive flange is lifted directly off of the '85/86 CMX250C Rebel, making alternate sprockets a possibility. Rear tire estimated 25.5" diameter, primary drive ratio 3.100, 6th gear 0.785 overdrive, stock final drive ratio = 2.69: 92.5 MPH @ 8000rpm (probably fair to assume the rider is a horse jockey wearing the emperor's new clothes and the bike is running on reserve). Changing the rear sprocket to a 39 results in 83 MPH @ 8000rpm. Not much chance of reaching the claimed 145 KPH top speed, but it should leave enough grunt in 6th to not lose speed to a head wind. Oil change. Simple, right? The drain plug is on the left side of the cases toward the rear of the engine, 12mm head. Yes, that is a dollar store cat litter / drain pan. 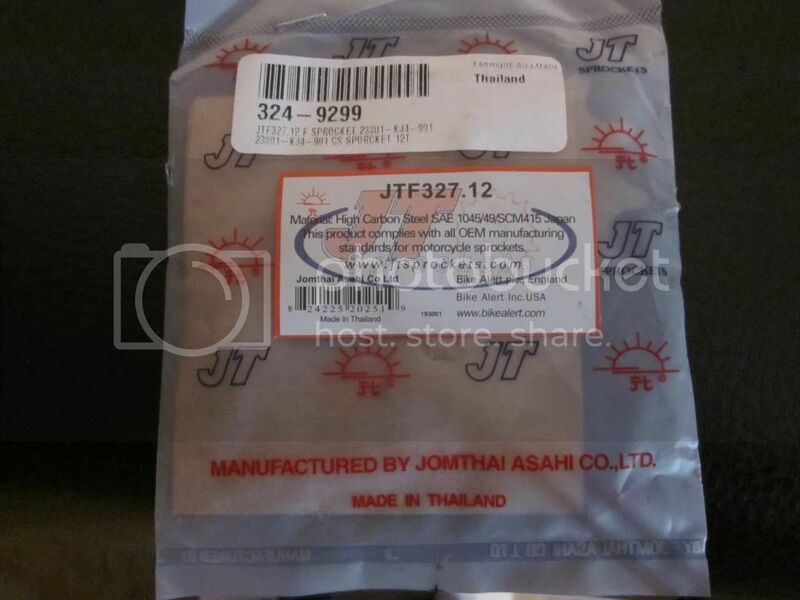 A new filter can be tracked down at Canadian Tire, Fram part number CH6015. It'll come with a new o-ring for the filter housing and grommet for the filter. A dab of grease will help to hold the spring in place when installing the new filter. The previous owner treated the bike to some Motul 300V, not my thing. Rotella T 15W40 from here on out. New air filter and air box door seal, spare plug to bounce around in the tool compartment. If your air box door looks like this, you're missing the seal. The seal is critical, may as well run with no filter installed otherwise. There's enough seal left for another go. 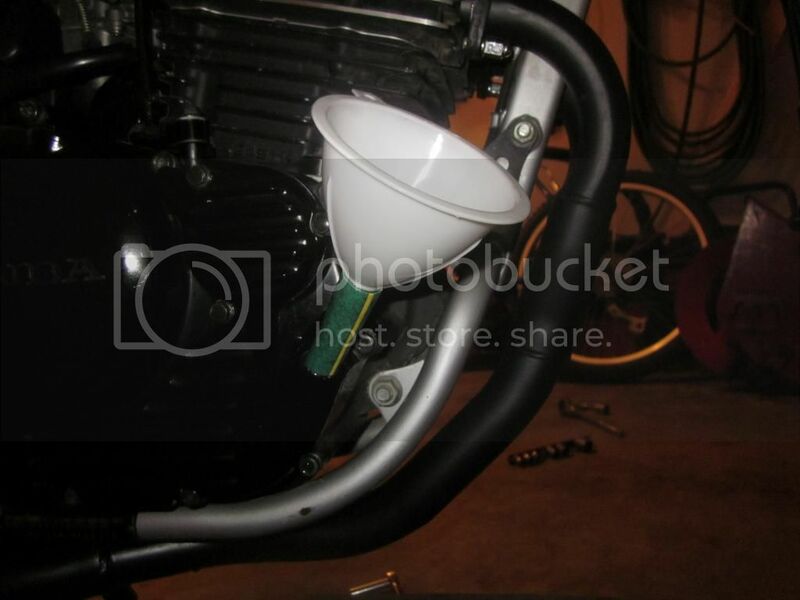 The retainer spring pushes the filter into the snorkel / inlet at the top of the air box. 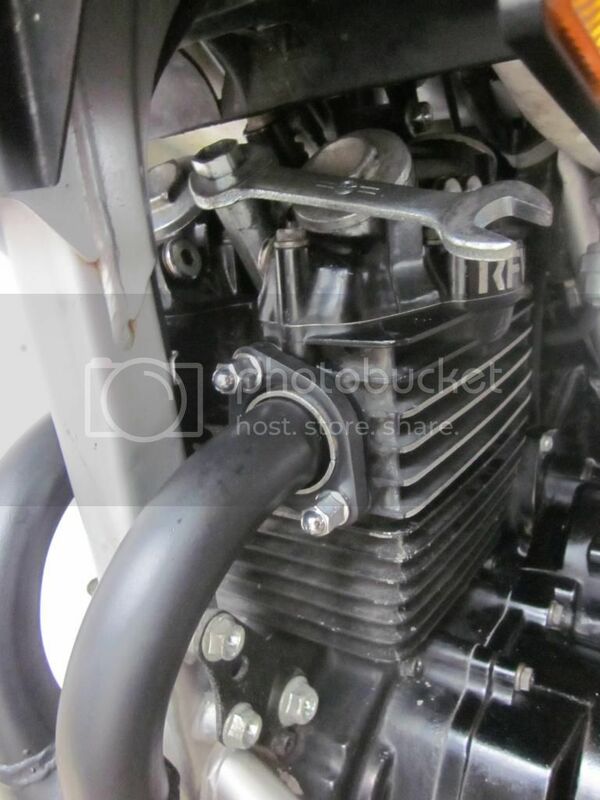 Air is drawn through the filter INTO the air box, then through the screen on the left into the carb. 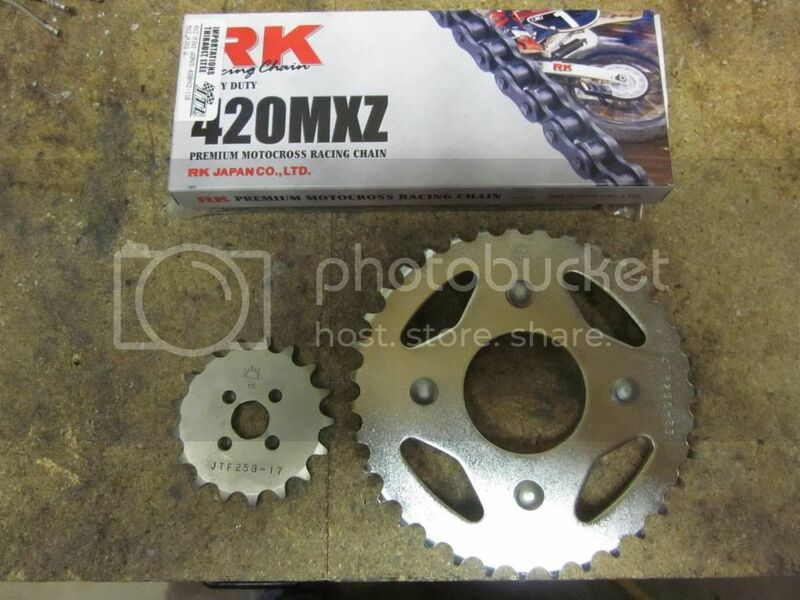 Going with a 12T countershaft sprocket puts the final drive ratio right in the same neighbourhood as swapping out the rear with a 38T rear, for a fraction of the cost (eliminates the need to replace the drive chain as well). 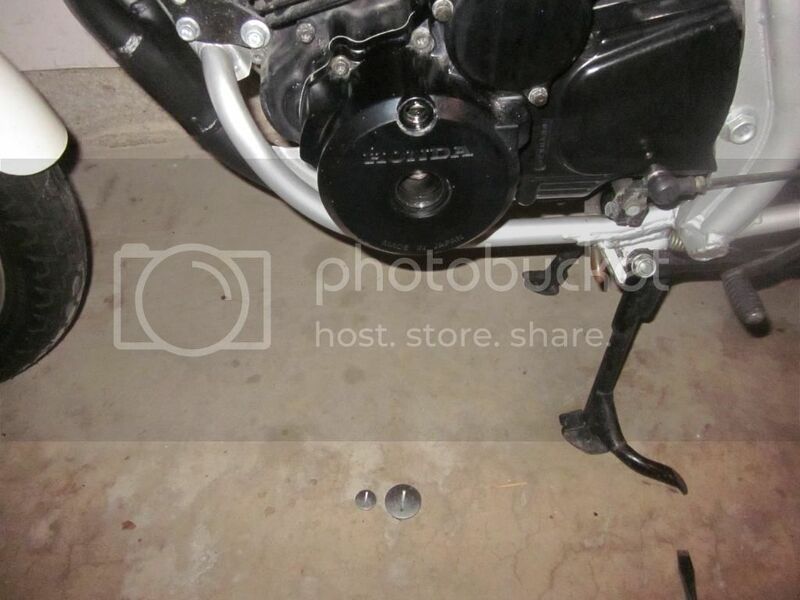 It's not an ideal setup as the chain's life expectancy will be greatly reduced with a smaller countershaft sprocket (increased link movement each time it rolls over the smaller sprocket). The drive chain on this bike is in excellent condition, and it'd be a real shame to waste it - for the cost of a $20 sprocket I'll know (in about 3 months) if the ratio works for me or not. 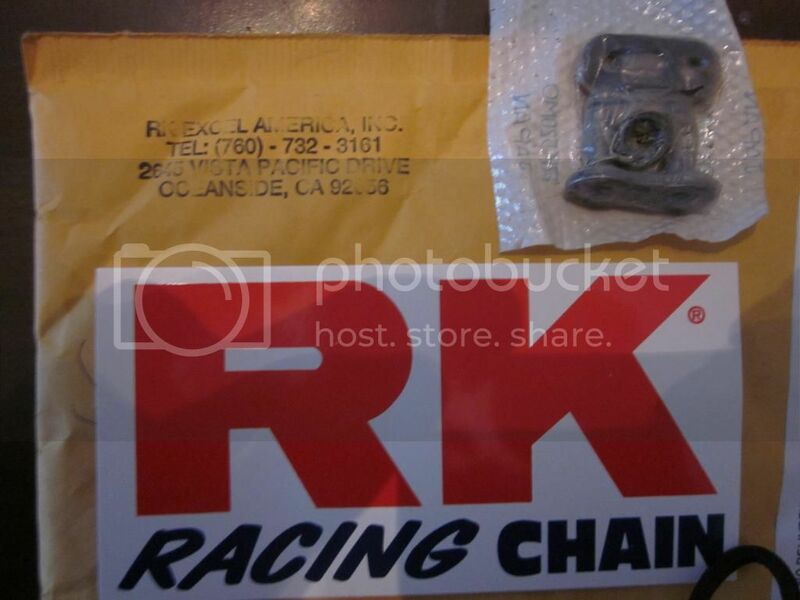 I went in search of a master link for the drive chain, and none are to be found from the usual sources. I contacted the manufacturer (RK Excel), who, in turn offered to send me a link (free of charge!) as this chain is now out of production. I figured they might back out when they realized I'm in Canada, but the link (and some boss decals) showed up in the mail today, shipped at their expense. When was the last time you heard of a manufacturer going that far out of their way to support an NLA product? Once I've got the ratio I want, you can be sure my bike will be running a new RK chain - I would have been anyway, I like the product and have used it on my other projects in the past. cool bike. I remember seeing a young lad named Jordan Szoke racing one of these in 125gp at shannonville. Really! and psst...this bike is lwt prod'n legal for RACE and SOAR. You have a ninja 250&300, &CBR250 beater! wanna be a racer on the cheap......? That's pretty awesome, I could be the next Miguel Duhamel (only 20 years too late and 20+ Lbs too heavy)! Sadly as cheap as it would be it's still out of reach for our single income budget. In case anyone's looking to sponser an independant ammature racer (because those are hard to find...), I am open to cash and N.O.S. parts sponser offers! I drained the fuel filters into an old windshield washer bottle, dropped the chain in and set the jug on the same bench as my 5.5HP gas compressor, et voila: poor man's vibratory parts washer. Let that sit for an hour or so on idle (lots of crud in the bottom of the jug) fished out the chain and dropped it into a clean 5 gallon pail. Drained the Kubota's hot oil into the same bucket and set the bucket on the compressor bench: et voila, poor man's vibratory chain lubricator. Extracted the chain after the oil cooled and washed it down with clean No. 2 Diesel. Now mounted with my shiny new master link, sporting a liberal application of Castrol chain lube. This technique for cleaning and lubricating the chain worked fantastically for those who haven't done it before. Chain moves freely and is unbelievably clean. Now if spring would just come, I could get some space in the garage. There's one for sale near me...cheap. I don't know if the one above is the same one that was for sale in Ontario last summer. Perhaps it's just sharing a photo as well. Riceburner referred to the CBX250 as a buzzer, and accurately so. Tingling fingers start to come on at 30 to 40 minute mark at in town speeds. 4500 RPM seems to be high water mark for vibes, thankfully the wee beast hauls and holds a respectable 4000 rpm in 4th gear, good for 60 KPH. Where else would you go for the first ride of the year in 4*C weather? I'm kind of hoping that 'The Friendly Giant' owns that mountain bike, either that or the CBX is 'just that small'. As Boyoboy noted, this bike is all about power to weight ratio. I've cut out my morning apple fritter and started making coffee at home with milk, it's a bunch easier to lose a few pounds than trying to make more power. 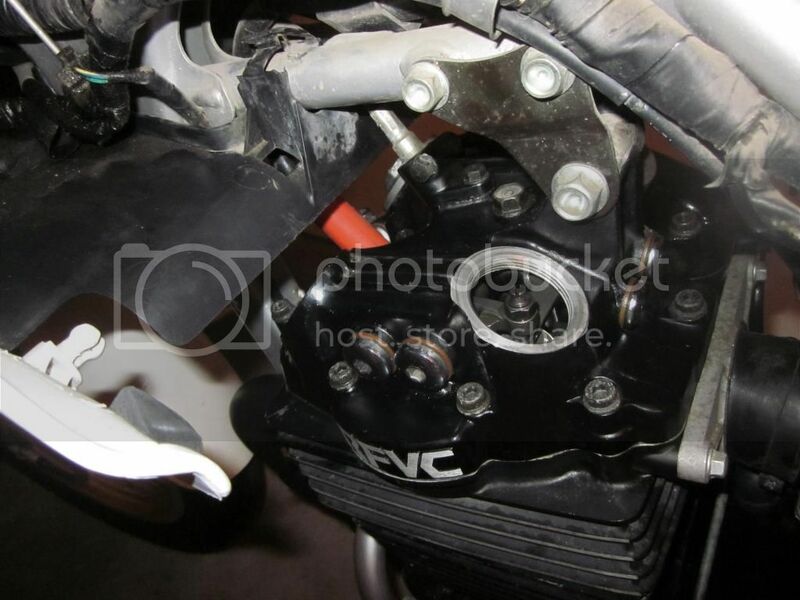 Nearly every upgrade requires the engine to come out of the frame, which looks like it was literally shoe-horned in. The stock diameter '84/85 XR250R Wiseco 10.5:1 compression ratio piston will slide right in the stock bore. Megacycle offers a high lift cam, stiff springs and hardened rockers, though you'll want to stipulate re-using your stock cam or an XL250R cam donor as the XR250R cams don't have the tachometer drive. 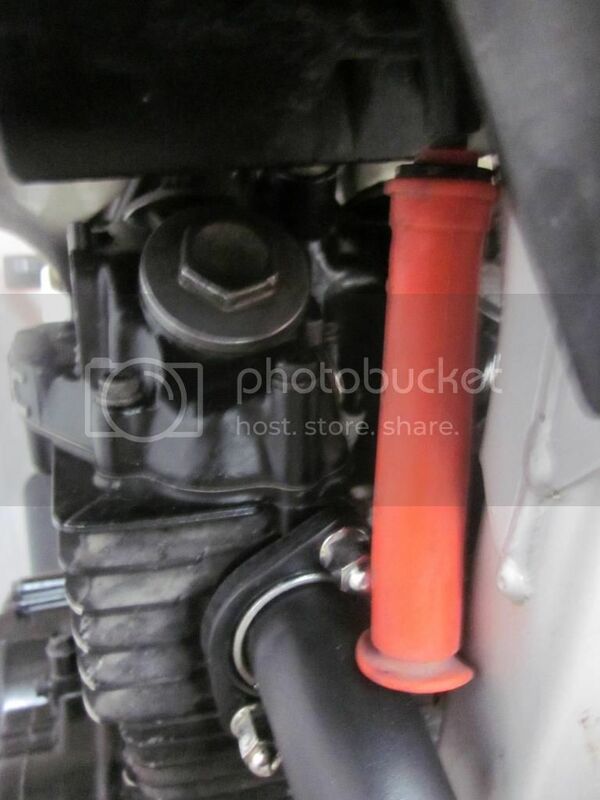 If your wanting a little more in the middle and at the top of the powerband without the expense of the rockers and HD springs, the stock XR250R cam will do that for you. I've got an iron in the fire for a swap / under $100 lightened flywheel, we'll see how that turns out. - I'm here all week, try the veal. It wants to stall when coming off of choke from a cold start. It will stall when approaching a traffic light, 1 out of 100. The front suspension is lacking. 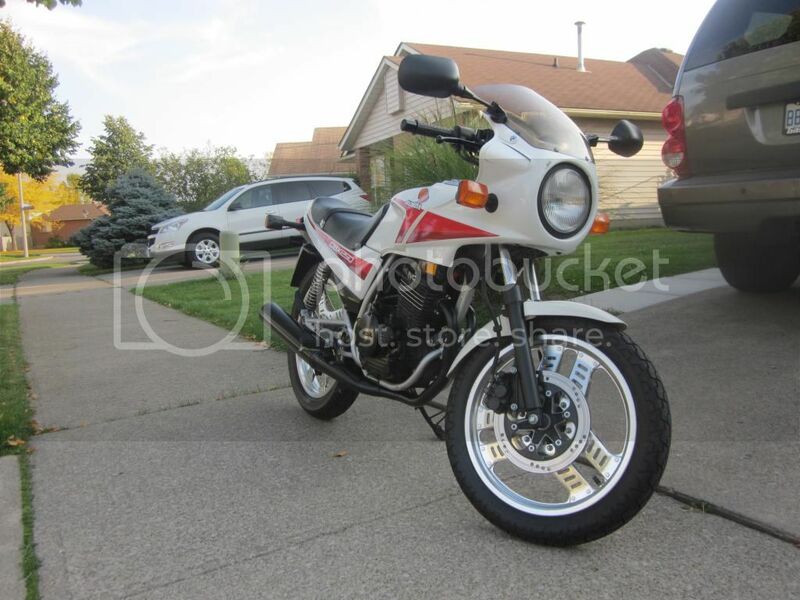 Performance isn't what I'd hoped it would be, or at least what I remember my XR250R had. I resolved the coming off of choke / stalling issue swapping out the Rotella T 15w40 conventional oil and replacing it with Rotella T6 5w40 synthetic oil. 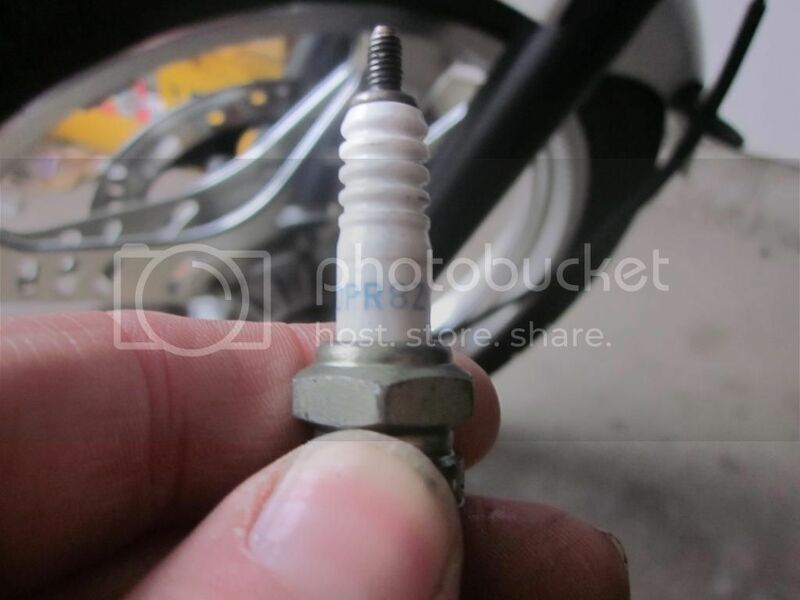 No, this isn't an oil thread - but it does start and come off of the choke nicely, where I would have to hold it above idle to warm the oil up previously to prevent a stall. I price matched the oil at Walmart, $38 for 5 liters or about $8 a liter. A bit expensive, but a 5L bottle will provide 4 (FOUR) oil changes if you're careful when pouring. Overall performance is improved, I haven't had it at full operating temp / heat soaked yet with the T6, but I'm hoping for improvement there as well. Last year during a spirited group ride along the escarpment performance fell off rapidly once heat soaked. Stalling approaching a traffic light at low speed seems to be an inherit trait, there are a couple of other owner's who have confirmed the same issue. This space reserved for that issue. I dipped my longest extension into one of the forks and pulled a sample of the filthiest oil I've seen in some time out. I opted to pull the bolts out of the bottom of the forks rather than pull the fork bodies out of the triples - my jack likes to drift in colder temps. A bit of heat on the head of the bolts helps to break the thread adhesive (loctite) and ease removal. If you don't have an impact driver, do NOT attempt to remove the bolts! Fork caps are 14mm allen sockets, you'll want a breaker bar or long ratchet to snap them loose, use an old pillow to protect the tank. I successfully measured the oil drained from both forks at ~ 250ml. I opted to go with fresh ATF and use it as a baseline - the improvement is more than worth the effort. For heavier riders, perhaps a 15w fork oil might be a better choice. Got to bring this thread I got a 87 canadian cbx here 10k kms on it in my garage im thinking bout stripping down and getting it back in driveable shape . Or strip it and part it out Was sitting for 21 years in garage and needs some normal work id say from 20 years sitting . ( rear shocks, front fork seals,carb rebuild ,tires , chain, brakes , gas tank lined due to rusted out in side ) I did fire it up last year after i dug it out and with carb off and spray bottle gas it fired great . Had to replace the plug boot and plug before i tempted to start it . But now its the pain of finding replacement parts . 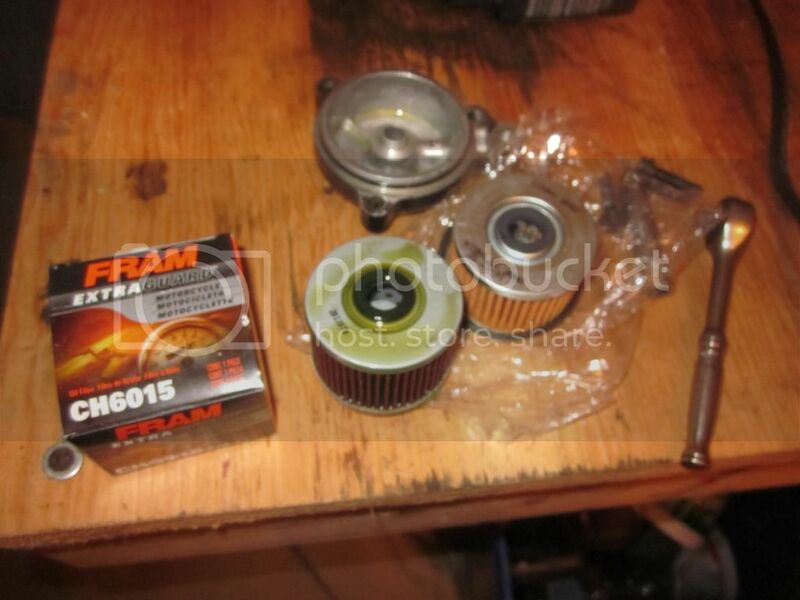 I did end up finding the carb parts on ebay from overseas . But now the shocks and stuff im on hunt for . Is any of you end up getting any more info or find parts places for these rare machines . ?